In this thorough study of Israel's prophetism, O. Palmer Robertson captures the passion and purpose of their extraordinary writings. After examining the origins of prophetism, the prophets' call, and their proclamation and application of law and covenant, Robertson devotes special attention to the biblical-theological significance of the exile. Viewing that phenomenon through the lens of several prophets, he draws our focus to the glorious restoration of God's people in Christ. 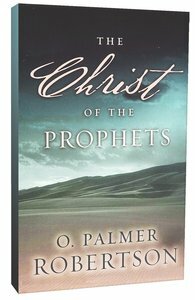 About "The Christ of the Prophets (Abridged Edition)"
Thorough study of Israel's prophetism, including covenant and the law in the prophets, prediction in prophecy, Jesus the promised Christ of the prophets, and more.